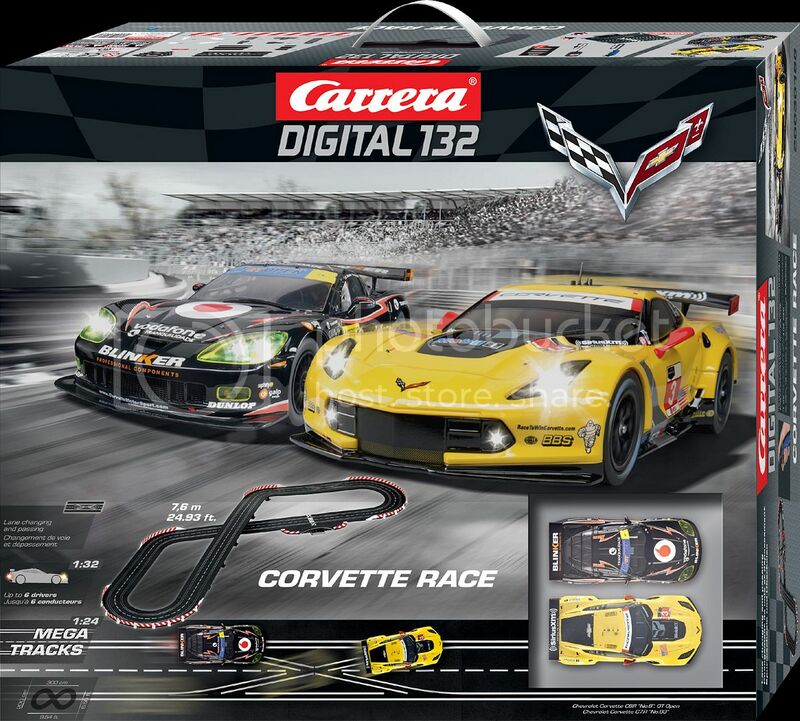 Carrera of America will be at the 21st Anniversary event for the Corvette Museum in Bowling Green, Kentucky Sept 3-5, 2015 and will be displaying the new Corvette Race set. The set will be shown here and you can race the cars on the track during the 3 day event! We will be doing giveaways of Carrera hats and stickers and other gifts during this event... and the Museum Store will be taking pre-orders on this set during the event. Check the website for the Museum for directions. The event will be open the 3rd-5th from 8am-5pm daily. Further, there are also plans in the works for Carrera to attend the annual April event at the Museum as well. Cool the Museum is only a three hour drive for me. BTW this event is next week and I have a sample arriving of a prototype of the D124 C7.R that I plan to have on display. Is the black car sponsored by blinker fluid? Could you show a picture of the sample D124 C7R ? Actually... yes.. this sample just arrived at my house a few minutes ago! This is a prototype and not the final car. Love it! I'm going to have to get one of these for sure! There will only be 1 C7 in 1/32 this year, that's why there's a C6 and C7 in that set. 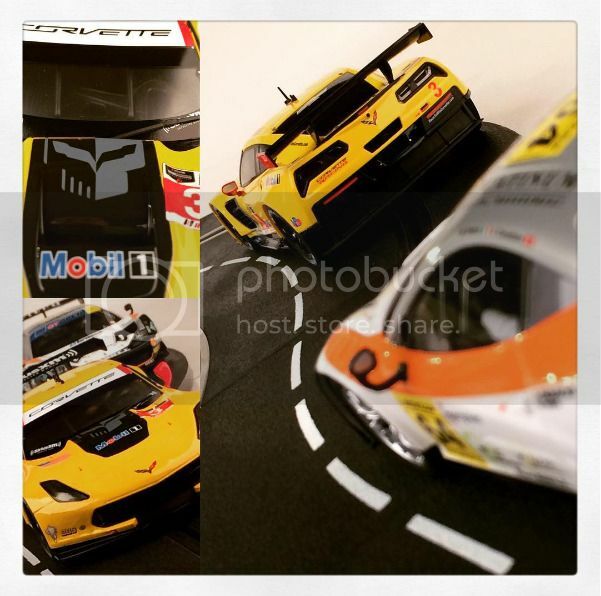 There will be a second C7 for 1/24 and it will be the Labre Racing car. I don't have a sample of the deco yet. 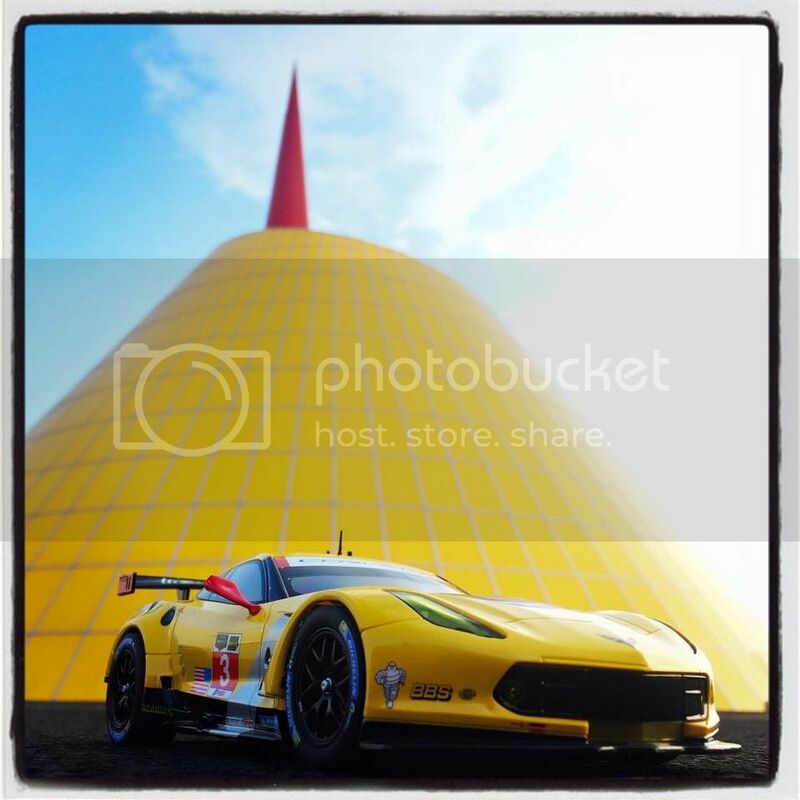 The D124 C7.R shot at sunset against the backdrop of the National Corvette Museum. When you do get a picture of the 2nd 1/24 C7R would you post a picture of it ?